Hi, I'm Patti. I have been lucky enough to meet many of you over the last couple of years and am looking forward to meeting those of you that I haven't. Although I have been involved in the studio since we opened, I have been behind the scenes running my accounting practice as well as opening the Beach Escape Game. I am happy to now be in the position to devote my time and energy to elevate the studio and evolve it to the next level. 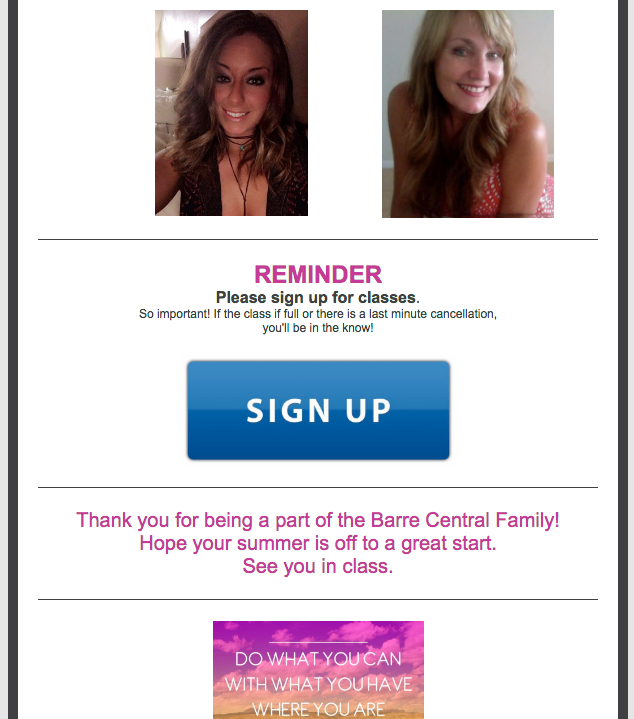 You may have noticed the exciting changes underway including some fall cleaning and various updates. We're undergoing a little restructuring to ensure that we're providing each and every one of you the very best possible experience. If you have any questions or concerns, please don't hesitate to contact me at(727) 367-1800. If I'm not immediately available, I will most definitely return your call. I'm certain that you will be thrilled with what the future of the studio holds and the direction in which we are heading. There have been several classes added as well as an enhanced variety of those existing. 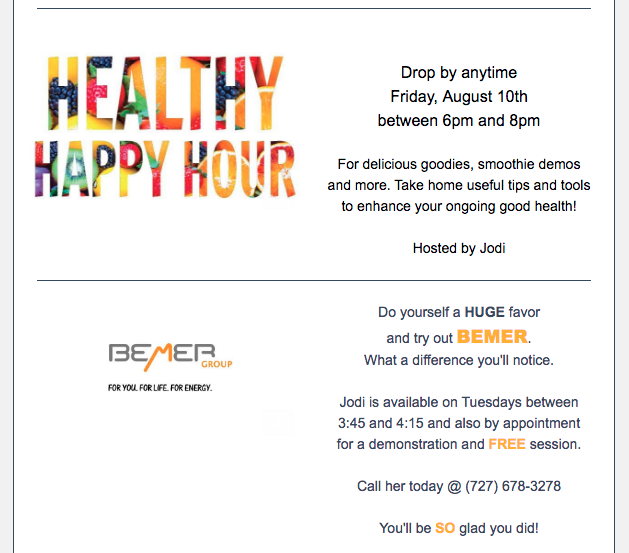 Our exceptional staff, that we all know and love, have put together some super fun and challenging sessions that you're sure to enjoy. Check the website for the updated schedule and some minor time changes. 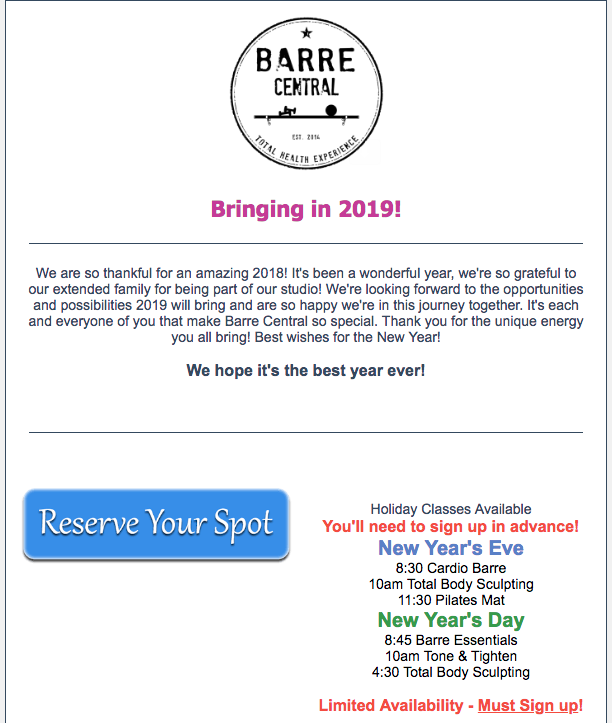 I am happy to announce that In addition to Sarah teaching her spectacular classes, she is going to be diligently setting up fun, informative and entertaining monthly workshop and special events. This is something we've all been looking forward to. She already has some incredible things in the works! Stay tuned for updates. Last but not least, for the month of November, we will be having a "Bring a Friend Raffle". So grab a friend, family member, co-worker or neighbor (first class is free) to be entered to win a great prize. PS - Both you and your guest win. 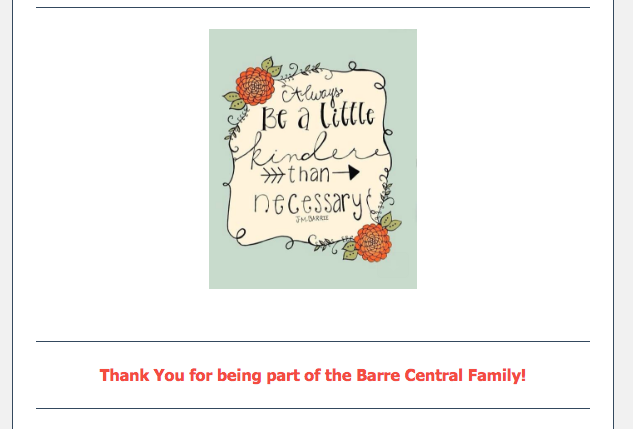 Thank you all for being a part of our amazing Barre Central Family.